What a beautiful day. The morning started out with a spring snow. The temperature was just above freezing and the snowflakes huge. This afternoon the sun found its way out from behind the clouds and the temperatures soared into the mid-40s. My Stanley No. 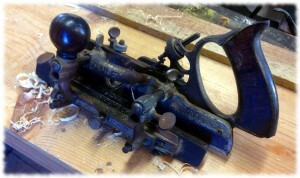 45 combination plane after making a 1/4″ rabbet on a piece of scrap pine. The yard is still covered with nearly 2-feet of snow, but with warm temperatures I am able to keep the workshop comfortable with just a small electric heater. The kerosene heater puts out a lot of warmth, but at a cost. It is loud. I put Pandora radio on the computer and spent the day cleaning the workshop. And throwing things away. I have way too much stuff in the shop. I didn’t get the font half of the shop cleaned, but I got the back half looking pretty good (for me). I even dug out an antique Stanley No. 45 plane and got it working – though the blade needs to be sharpened. 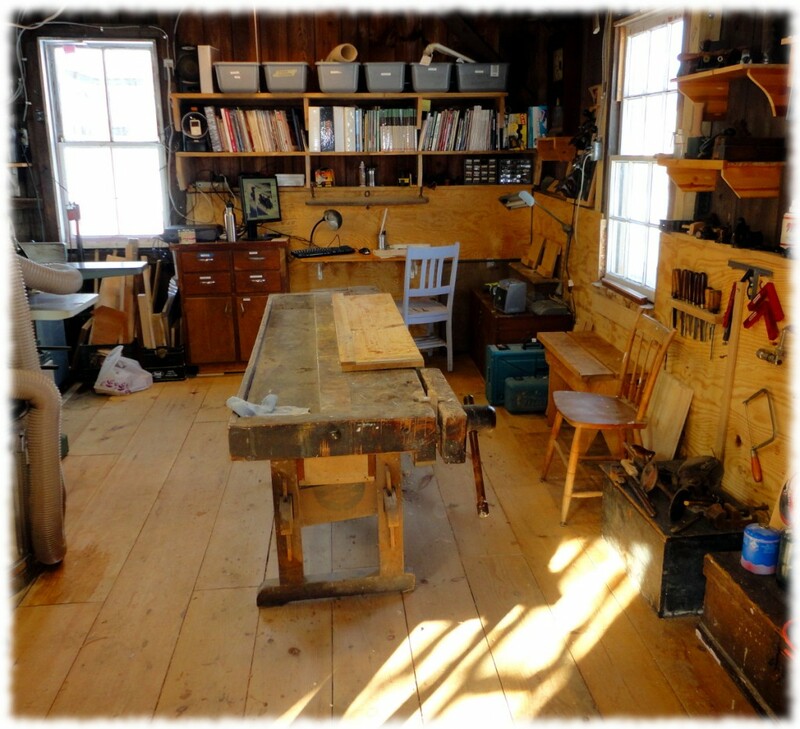 A reasonably clean workshop. I even vacuumed the floor. I still have more stuff than I need, but it is heading in the right direction.